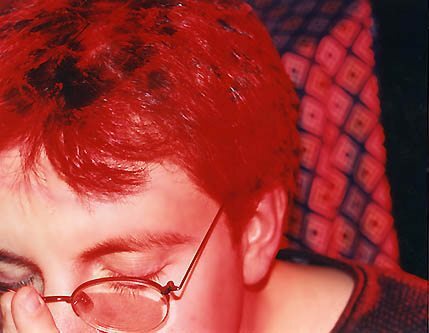 A short entry this week, for a book that probably deserves a longer look. 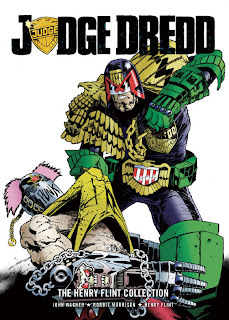 If I had to pick a latter-day Judge Dredd artist whose otherwise unreprinted work it would be a bright idea to collect in a showcase volume to reach potential readers who might recognize the artist's name from other work, it might not be Henry Flint. (Might be John Higgins, actually: between "Monkey on My Back" and "Served Cold," there'd be the backbone of a very solid book.) If I had to pick an underrecognized MVP of the past decade or two of Dredd, though, Flint would be right up there. 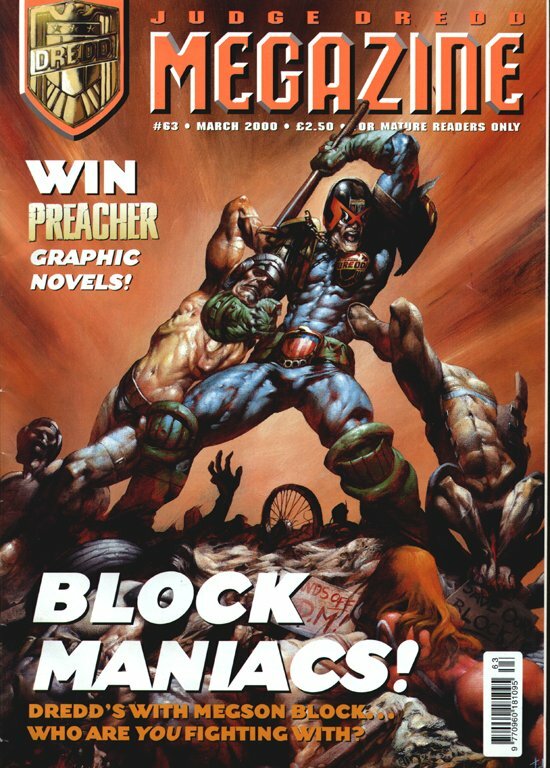 I suspect that the only reasons he's not better known in American mainstream comics are that he's done most of his best work for 2000 AD, and that the American comics he has drawn have been very low-profile. The Omega Men? The Haunted Tank? Come on! 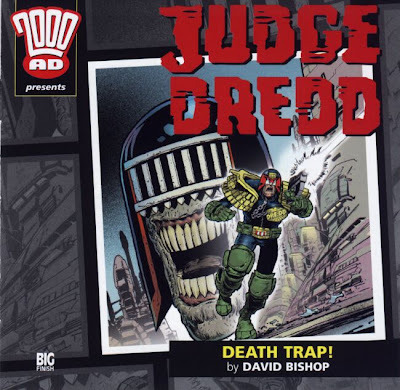 Flint is one of the relatively few regular Dredd artists who's adept at both serious and funny (and seriocomic) stories--a real asset, given the way John Wagner likes to switch back and forth between grimness and hilarity. I tend to think of Flint as working in more of a dramatic mode these days, but that's mostly because he's been drawing the bulk of "Day of Chaos," which is as dark a Dredd story as there's ever been. (Even that has its funny moments: Flint's drawing of Ribena Hardly-Lucidberry in her grape costume in the first chapter of "Eve of Destruction" still makes me giggle every time.) It's a bit of a surprise, though, that the first two-thirds of The Henry Flint Collection are all more or less straightforward comedies: only "Street Fighting Man," which we covered a while back, doesn't have punch lines everywhere. Stories that combine both modes, actually, are Flint's specialty (see also Zombo). "The Gingerbread Man" is the strongest-looking story here, really gruesome and really funny, with lots of textural gestures that Flint didn't try much early on. (The image of P.J. and Inga in their airship is closer to Frank Miller's Moebius/Kojima hybrid in Ronin than anything else I've seen.) Flint isn't a showy artist, or one who generally produces eye candy (although a lot of his covers in the past few years have been really attention-grabbing); he's a stylist of a kind who'd rather make a character look ugly in a striking way than attractive, and he'd rather move a story along than pause the reader's eye for an image that's particularly beautiful or striking. He's particularly good, though, at squeezing a lot of content into a single page: there's a page of "The Gingerbread Man" that has eleven (word-heavy) panels on it, and it doesn't seem especially cramped. There's one department in which Flint has been drastically underused, though, and that's covers showing Dredd himself--especially for issues in which he's drawn stories. (In fact, he drew the covers of none of the issues reprinted in this volume.) If BARNEY is to be believed, he's drawn only three Dredd covers for 2000 AD, including the not-so-great piece that serves as the cover for The Henry Flint Collection. 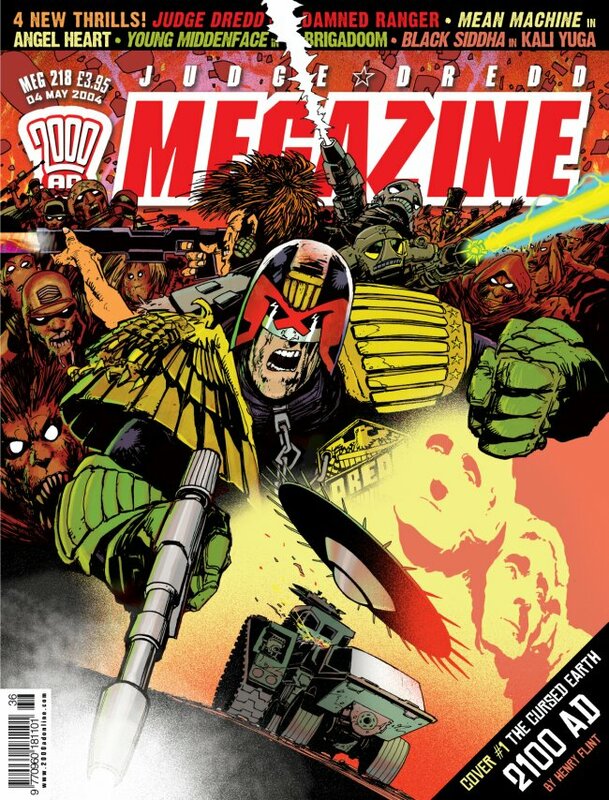 He did, however, draw Dredd covers for a bunch of the early-2000s 2000 AD audio dramas--one of them appears above--and a few issues of the Megazine, including the dead-on Ezquerra homage seen a few paragraphs higher. Next week: this blog celebrates a year of weekly posts (! ), and we leap backwards in chronology for a book that won't actually come out until Tuesday--the thematically organized American collection When Judges Go Bad.